It’s teeny. It’s tiny. But unfold it and you will hold the entire city of Dubai in your hands. 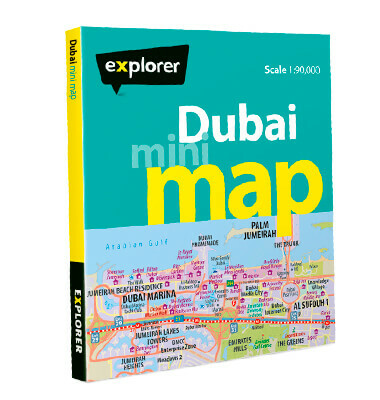 The pocket-sized Dubai Mini Map folds out to reveal an overview vector map of Dubai along with detailed maps of key areas, so you’ll never get lost again.